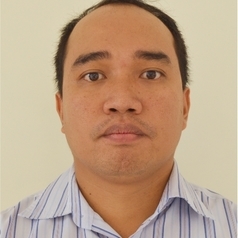 Dr. Saut Sagala is an assistant professor at School of Architecture, Planning and Policy Development, Institute of Technology Bandung (ITB), Bandung, West Java, Indonesia. He received a masters degree from ITC-Twente, Netherlands and a PhD from Kyoto University, Japan. He has actively written papers on disaster risk management, climate change adaptation and spatial planning published in international journals and proceedings of international conferences. Saut has ten years research and consultancy experiences on spatial planning, disaster risk management and climate change adaptation. He is also the managing editor of Journal of Regional and City Planning of ITB. Saut has experienced working in Philippines, Indonesia, the Netherlands and Japan. He has received funding for research from Provention Consortium, Indonesian Higher Ministry of Education, Oxfam (UK-Aid), UNDP, GTZ, IFRC, ITB, Kyoto University and ITC (International Institute for Geo-Information Science and Earth Observation, University of Twente, the Netherlands). In national cases, he has been working in most of Java, West Sumatra, South Sumatra, Jakarta, South Sulawesi and East Nusa Tenggara.